What i have done is based on the branch weapons/recoil by enneract, but extends well beyond that. Please try it out and comment. How does the reocil feel to you? etc. Also would be great if someone more experienced with the engine looked through the code i wrote. Some screenshots, first aim-down-sights with the SMG, recoil pattern when firing constantly (middle) and when burst firing (right). Hey, wow! Nice job you've done on this! Any chance you could make a video of it, so that I could show everyone on the team? By the way, you're more than welcome to drop by our development channel. It's #unvanquished-dev on Freenode. Can this please be included in the main game? Pretty please? poVoq wrote: Can this please be included in the main game? Pretty please? I agree. It would be cool in a sense that it wouldn't be RNG entirely though. If it has recoil it should be learnable. The spread while running is cool too. I like all of these and it is why I am a CS enthusiast. These additions will increase the skill ceiling ten fold which is awesome. Certainly affect the skill ceiling. Will make conventional dodging much more difficult limiting battles between aliens and humans to be more about numbers than movement. Would be interesting to test during a devgame. If you get on IRC vitamins, we can probably discuss how we can test your change. Added a bloom per shot mechanic that increases spread with every subsequent shot. I have set weapon configurations for SMG and LAS gun that i believe will work well, so those two are ready for testing. Regarding the comments about dodging, the SMG is configured to have a very good accuracy without using the aim-down-sights mechanic slowing you down, so moving while firing should work if you have the SMG equipped. Send me a message about which time you are on IRC. I'm generally online from 11AM - 2 AM (I may be gone for an hour or so in between at varying times) GMT-8. The shotgun also isn't perfect but i guess that one could be solved by moving it closer to the camera. Following from this, the weapons need to be redesigned to feature a usable sight. 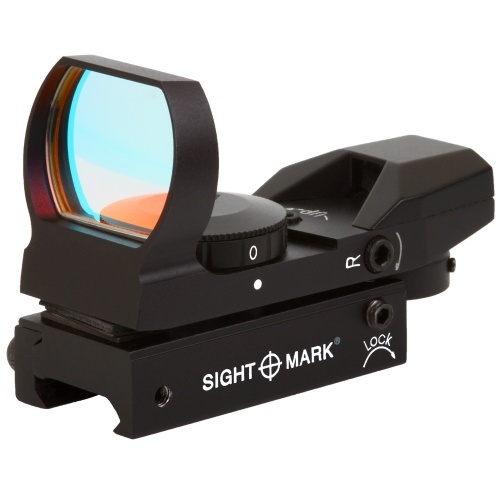 It doesn't even need to be an ironsight, a simple rectangle in which we can draw a 2D crosshair would be enough (inspiration http://www.gunssavelife.com/wp-content/ ... sy39xs.jpg). Until that happens, drawing the gun lower than the center of the screen, and showing a crosshair will work for weapons without usable sight. Oh and i need help with placing the models correctly on the screen, if you could set the placement in game in a debug mode, (perhaps using the arrow keys) that would help a lot. Also, I feel like the current spread of the shotgun -in Alpha 47 build - is already very powerful and has many of our loyal players down in the dumps about how efficient it is cost-wise. Perhaps make the spread it has right now the "down-sight spread" so to speak and then nerf the accuracy heavily from "hip-fire". Just some initial thoughts I wanted to bring up. Gonna try to test this change out and edit this post if I have anything further I want to discuss. Either way, like I said earlier, this was super unexpected and very, very interesting.